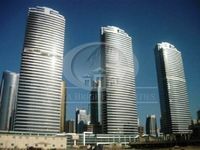 Stunning 1BHK Fully Furnished in JLT Near Metro!!! 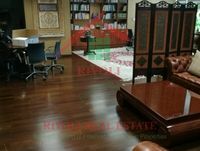 The displayed properties for rent in Jumeirah Lakes Towers are definitely the best to find in Dubai since they are found in one of the most significant large-scale projects in the emirate overlooking the shimmering waves of the Arabian Gulf. The seaside construction consists of 80 residential towers standing along a number of man-made islands like Al Mas West and Al Mas East. The towers’ height vary between 35 and 45 floors except for the center tower ‘Al Mas Tower” which is 66 floors. The Al Mas Tower stands in a special artificial island designated only for its establishment that lies between Al Mas West and Al Mas East lakes. The first completed tower is Al Saba tower which was constructed in 2006. The majority of the construction works were initiated in 2008. In 2011, 80 of the construction works were already completed. However, in 2015 there were still 11 towers pending and under construction. Development was delayed on these towers as a result of the financial crisis that hit Dubai in 2009 and its economic repercussions on many business sectors including real estate sector. After its completion, JLT became a magnificent masterpiece standing in the heart of Dubai. It’s currently a residential, commercial, and recreational center grabbing thousands of visitors everyday from all around Dubai and UAE. The projects bounds with many properties for rent varying in type, location, and price. Finding a residence in Jumeirah Lake Towers is absolutely a bliss thanks to its central location and proximity to many of Dubai’s wonders like malls and other popular destinations. There are apartments, studios, penthouses, villas, and other types of properties available for rent. The price range is bit wide, it differs according to the property’s location, size, and type. 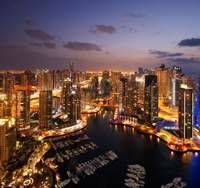 However, it’s hard to find a property with rental price less than AED50,000. There are also completely furnished and serviced hotel apartments affiliated to world’s top brands. These apartments are perfectly convenient for luxury seekers who want to have full scale of services in addition to a wide set of amenities like swimming pools, sauna, steam baths, fitness gyms, cinema halls, occasion halls, and many other. You can also rent full floors and duplexes in JLT, they are available in furnished, semi-furnished, and fully furnished units. The estimated residence population in Jumeirah Lake Towers is around 60,000 residents. The working population doubles up during working days to 120,000. The project has a set of facilities to contain the various needs of this considerable population. JLT has 3 mosques, 5 children playgrounds, 50,000 square meter park, police station, hospital, and many other facilities. The area is equipped also with two Dubai metro stations to be well-connected with the rest areas of Dubai which are Dubai Marina and Jumeirah Lake Towers station. 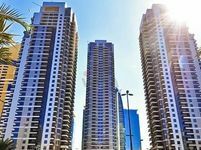 It’s totally easy to find a property for rent in Jumeirah Lake Towers with JustProperty. Just browse our specialised listing pages, shuffle between the displayed properties, and check for the one that fully meets your demands. Contact us either for inquiring about a property or for starting the process of renting a property. Our representatives are available around the hour to receive your calls.